The AVA Cholayil group has defied all odds to remain a handmade soap maker and also become India's largest. All employees of AVA Cholayil Health Care Pvt Ltd start their day with a 15-minute yoga session. Why? It is important for them to remain physically fit and mentally alert at work, which is not only unique but also quite stressful. 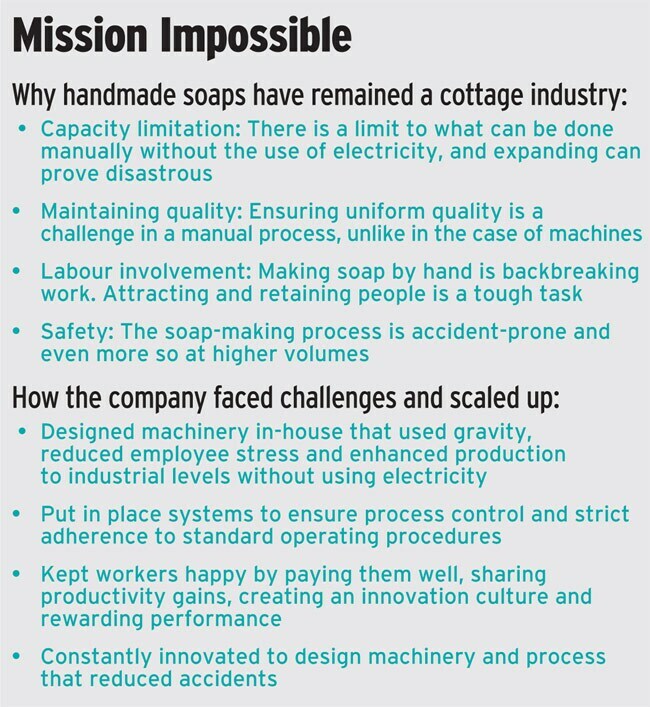 The 262 employees, spread across two factories in Chennai and one each in Pondicherry and Bangalore, make 10 crore bars of bathing soap every year by hand, without the help of machines and without using a single unit of electricity. 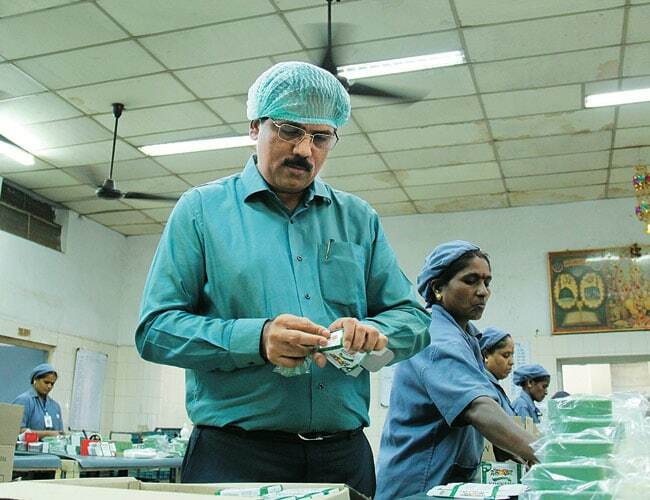 AVA Cholayil Health Care, which sells 15 crore Medimix brand of soaps annually in south India (two third-party units supply the balance five crore soap bars), is the largest handmade soap maker in the country, and probably globally. The company has recently applied for listing in the Limca Book of Records. Its revenue for 2013/14 stood at Rs 200 crore and it has a four per cent market share in south India. Soap-making is predominantly mechanised. 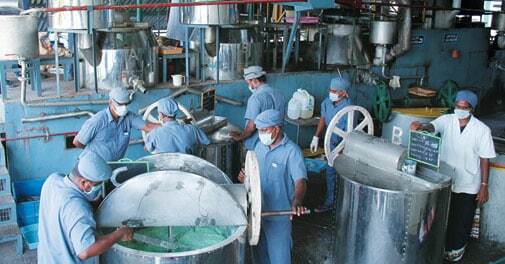 Of the four lakh tonnes of bathing soap manufactured in India, only about 8,000 tonnes are handmade. The reasons are not far to seek. Handmade soaps are laborious to make and it is extremely difficult to increase production. It involves employing a large number of workers, which results in labour-associated problems. Maintaining consistency in quality, process integrity and safety are also big challenges. It is for these reasons handmade soaps have remained a cottage industry, and large soap makers such as Hindustan Unilever Ltd (HUL), Wipro and Godrej have shifted to mechanised production. Through ingenuity, AVA Cholayil Health Care has done the impossible of scaling up its handmade soap-making process to an industrial scale. Its output in 2013/14, according to ORG, was 6,417 tonnes, which accounted for almost 80 per cent of the total handmade soap output in the country. Chandrika Soap, now part of Wipro, is the only other major handmade soap maker with output of 1,767 tonnes. The origin of AVA Cholayil can be traced to the kitchen of Dr V.P. Sidhan, a physician who worked in the Indian Railways and belonged to a family of ayurveda practitioners in Trichur, Kerala. He used oils which his ancestors had effectively used to treat skin diseases, to produce soap and launched Medimix in 1969. A helping hand: A.V. Anoop checking the packaging of Medimix soaps. Innovation has kept us going so far and I am sure we will come up with a solution to remain a handmade soap maker forever. 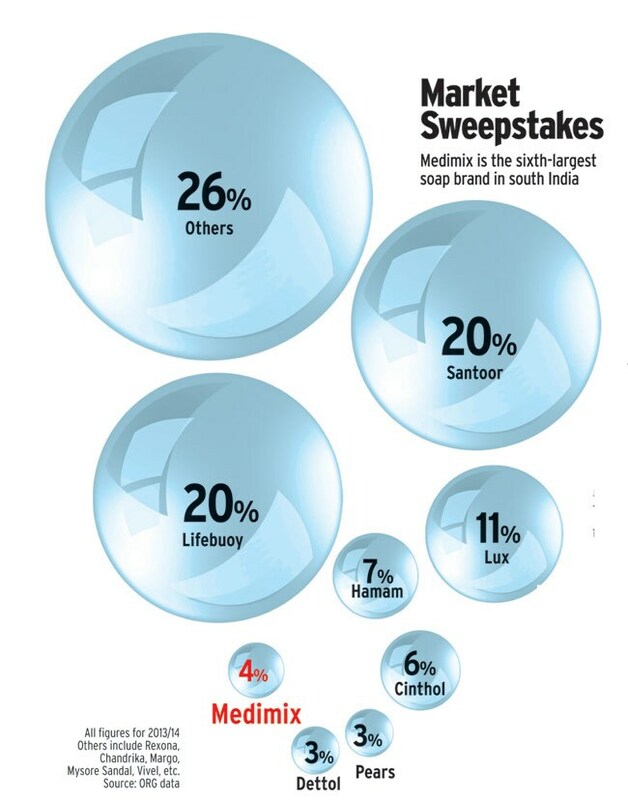 Medimix was initially sold as a skin-care soap. Its transformation as a consumer product began in early 1980s when Anoop entered the business. "After the brand's transformation as an FMCG [Fast-Moving Consumer Goods] product, we expanded by adding more factories but retained the handmaking process," says Anoop. The fact that handmade soaps had nil excise duty compared to 12.36 per cent for soaps manufactured using the mechanised process was a motivation (this benefit was removed in 2005). There, however, were other reasons as well. "Going mechanised would have meant letting go of the bulk of the 300 employees we had. It was against our social consciousness," explains Anoop. There were two other reasons. Handmade soaps are superior to machine-made soaps as they are skin-friendly. The process enables use of a higher proportion of coconut oil (which is good for the skin), adding more additives, especially ayurvedic herbs, and retaining natural glycerine, which leaves the skin soft. Also, the manufacturing process is environment-friendly as it does not use electricity at all. The decision to remain a handmade manufacturer opened up many challenges. No one, till then, had scaled up a handmade soap manufacturing process beyond a point and demand for Medimix was rising sharply. Production in late-1990s was just six crore units annually. The other challenge was people. The handmade process is backbreaking and unsafe. Workers have to physically lift hot oil, cart it to mixing drums, mix it, remove the soap, cut and pack them. In 1990s, the average age of the workers was in the mid-20s and the company's management realised that the workers will not be able to continue doing the work as they age. "We needed to figure out a way to scale up production, reduce stress and keep the operation safe," recalls U. Divakaran, Vice President - Operations. An external consultant appointed by the company said it was impossible to do so. The company then turned to its workers for insights in early 2000. 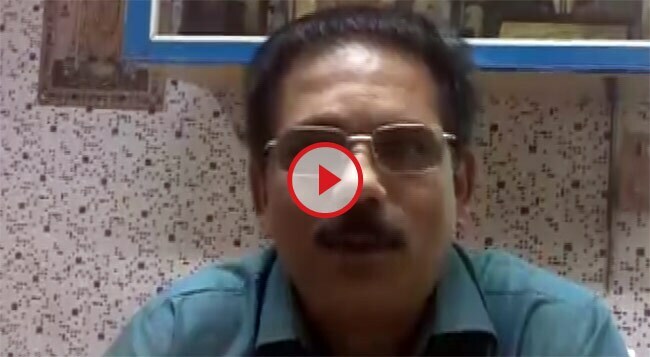 "The workers came up with solutions no management consultants could," says Anoop. Why not, for instance, use gravity and make the process less stressful, they asked. The management realised that such a process will also help the company dramatically increase production. Machinery was developed in-house to put this plan into operation. An elevated ramp was constructed from which trucks downloaded the raw materials-coconut oil, palm oil and caustic soda lye into storage tanks. So, using hand-rotated pumps, the raw material was pumped into overhead tanks. This then flowed into heating and mixing drums placed at different elevation, thus obviating the need to carry oil. Hand-rotated wheels were used to mix the ingredients. The soap was then poured into moulds and left for maturation. The employees then came up with innovations to cut the mould into plates and bars by designing machinery that again worked through hand-rotated wheels. The stamping process, the most accident-prone, was tweaked to make it safe. The second-biggest challenge in ramping up a handmade process was labour involvement. Without that, maintaining consistent quality and adherence to standard operating procedures would be impossible. So, the management turned its focus to workers welfare. "We increased their salaries and put in place a system where productivity gains were shared with employees," says Divakaran. Average monthly salary today is around Rs 18,000. To improve productivity, quality, housekeeping and keep innovation flowing, awards have been instituted and the four factories compete for them. "The knowledge bank we have set up has 250 ideas given by the employees," he adds. These measures have improved productivity sharply. In 2003, the average packing was seven cakes per minute. Now, it is 12. Workers stamped 4,500 units per day then. Now, it is 12,000. The average yield per mould (matured soap converted into bars) at 90.56 per cent is higher than the 85 per cent mechanised operation delivers. Last year, the aggregate output rose 21 per cent despite a drop in staff strength from 320 to 262 after the company offered a voluntary retirement scheme. The company says gaining a pricing premium for its handmade soaps is a focus area. "We have launched Medimix Clear Glycerine soap. It is priced higher than classic Medimix and will help in refreshing the ageing brand," says K.H.S. Manian, President of the company. Despite attempts by rivals such as HUL, Godrej and Wipro to come up with an ayurvedic soap, Medimix Classic's appeal remains strong. In fact, in the mid-1990s, HUL (then Hindustan Lever) tried to acquire Medimix but Anoop refused to part with the company. "They do not have a background in ayurveda," says Manian. Today, Medimix Classic accounts for 80 per cent of the company's sales. The brand ranks among the top 20 in south India in the Most Trusted Brands of India 2013 Survey by Brand Trust Report. While all is well now, Anoop constantly worries about the future. "I wonder whether we will get workers once this batch retires," he says. "Innovation has kept us going so far and I am sure we will come up with a solution to remain a handmade soap maker forever."